Prepare for Action! 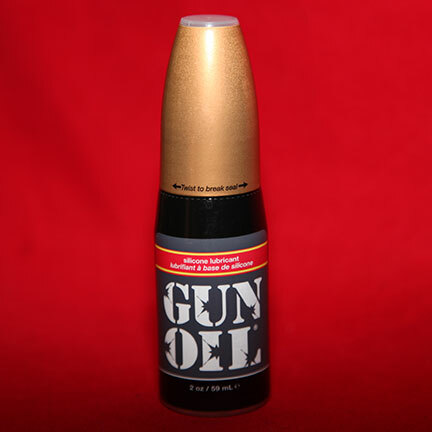 Gun Oil SILICONE is made with a proprietary, three-molecule silicone blend that keeps a Privates' parts well lubricated. 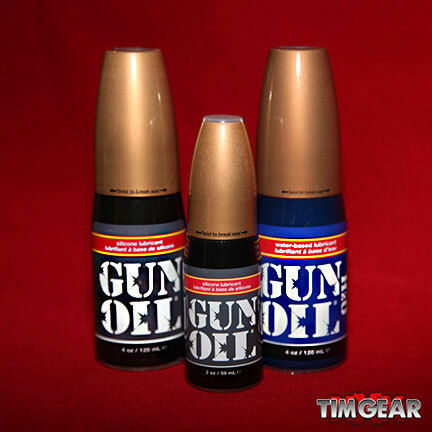 Ultra-concentrated and water-resistant, Gun Oil won't break down or dry out providing longer-lasting, slicker battle rhythm during surface-to-surface contact or in under-water missions. Vitamin E and Aloe Vera are added to minimize skin irritation and protect tissues. Unscented ● Silicone Based ● Hypoallergenic ● Water Resistant ● Fortiﬁed with Special Botanicals ● Glycerin Free ● Paraben Free ● Flavor-Free. Gun Oil H2O Water Based Personal Lubricant is the premier purified water-based lubricant that delivers super smooth, long-lasting glide with a wetter, lighter weight feel than silicone. 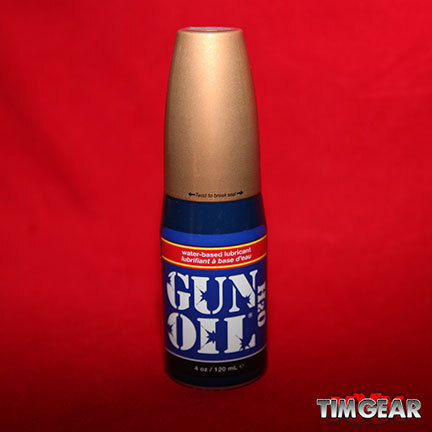 Ideal for your on-going re-entry to target, Gun Oil H2O is safe for all sexual equipment and members of your brigade. Contains added extracts of Aloe Vera and Oat to repair and minimize irritation, and stimulating Ginseng and Guarana extracts that promote blood flow to launch your rocket higher than ever. Ingredients: Water, Propylene Glycol, Hydroxyethylcellulose, Aloe Barbadensis Leaf Extract, Potassium Sorbate, Sodium Benzoate, Tetrasodium, EDTA, Panax Ginseng Root Extract, Paullinia Cupana (Guarana) Seed Extract, Avena Sativa (Oat) Extract, Polysomate-20, PEG-45M, Polyquartermium-5, Citric Acid.